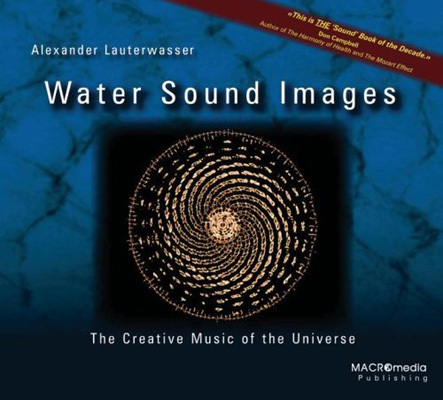 The Creative Music of the Universe. Awe-inspiring images by photographer and Cymatics researcher Alexander Lauterwasser, shed new light on the famous sand figures of Ernst Chladni, which fascinated Napoleon at the turn of the 19th Century, and Dr Hans Jenny's Cymatic sound forms of the 1950's and 60's - creating a new scientific art form for the 21st Century. As audible sound frequencies animate small samples of water, delicate harmonic patterns emerge, their structures mirroring those found throughout the natural world - from single-celled sea creatures to the shapes of galaxies. Drawing upon classical literature and the world's Wisdom Traditions, the author penetrates the invisible world of vibration's subtle influences, revealing the universality which underlies the muntiplicity of form.